When you’re traveling abroad and dealing in foreign currency, it can be tough to determine how much you should spend on a hotel. The relative prices may be much higher or lower than you’re used to — so how do you know what’s a good deal? Sam Dogen, better known as Financial Samurai, recently traveled to South Korea and Malaysia. He was about to drop $250 on a room at a five-star resort in Kuala Lumpur when his “personal finance brain” took over. After taking into account Malaysia’s GDP per capita, he realized spending $250 a night in Malaysia would be equivalent to spending $850 a night at a hotel in his home city of San Francisco — a price he would never pay. So, how did he determine a reasonable price? He let his financial geek fly and created a formula. 1. Divide your total home living cost (rent or mortgage plus utilities) by 30.5 days. This is your basic Natural Hotel Expenditure Rate (NHER). “The less you spend, the greater the deal you feel you’re getting and vice versa,” explains Dogen. 2. As a “sanity check,” compare the GDP per capita of your destination to the GDP per capita of your home country. If it’s significantly higher or lower, you should adjust your rate accordingly. See the next step for an easy way to do this. 3. Use the Big Mac index to calculate your “adjusted NHER.” Divide your destination’s Big Mac price by your home country’s Big Mac price, then multiply the result by your original NHER. This figure is how much Dogen recommends you spend on a hotel. Though we like Dogen’s ideas, the NHER formula won’t work for everybody. It didn’t for me: Since I spend $725 a month on rent and utilities, my NHER is $23.77 per day. If I were to adjust that according to Dogen’s instructions, I would be priced out of the majority of hostels — not to mention hotels — in developing countries. Still, Dogen’s point is a good one. Before you drop a bunch of money on accommodation just because it’s affordable to you, check out your destination’s GDP and Big Mac prices. Those numbers will help you determine if the price you’re paying is reasonable — or if you’re actually spending an extraordinary amount just because it’s cheaper than it would be in your home country. 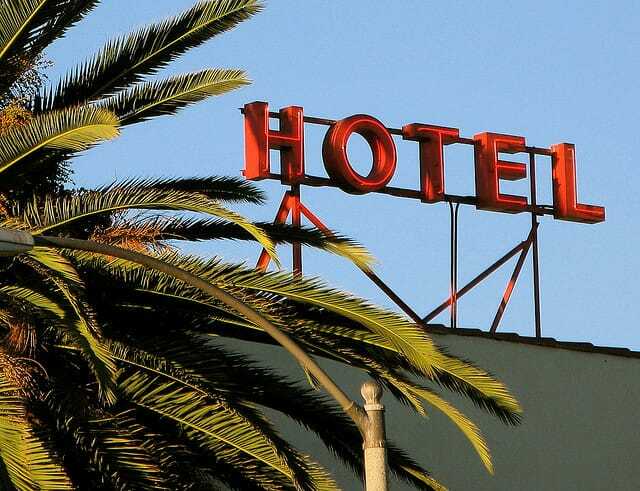 Your Turn: How do you determine how much to spend on hotels while abroad? Would you use this formula? 1 Hour Ago Dear Penny: I Can Only Afford Interest on My Student Loans. What Can I Do?